The tutorials in this training curriculum is geared towards those individuals in small-sized to mid-sized companies who plan to use SAP's Business One application to perform basic business functions within their organizations. 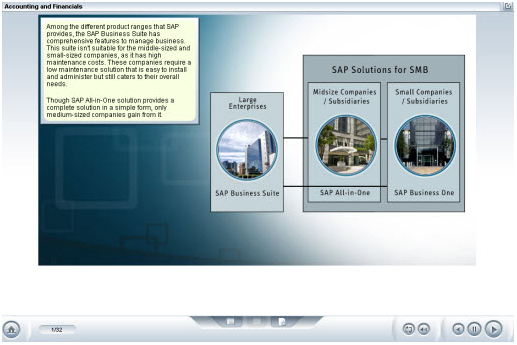 SAP Business One is a comprehensive set of integrated business management applications. Business One provides an entire set of core modules, including financials, sales, operations, customer management, and logistics, which enable a small-sized to medium-sized enterprise to manage all aspects of the business. 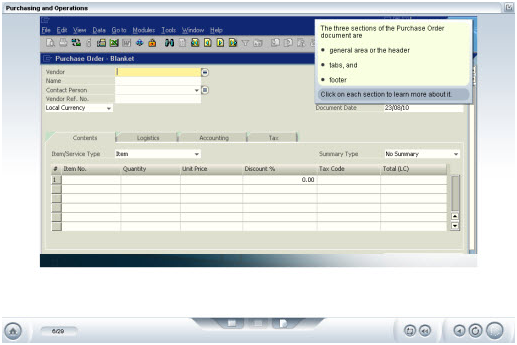 This course provides an overview of the core functionality of SAP Business One including financials, sales, customer management, inventory, and reporting. In addition, the content is complemented by an assortment of activities that describe many of the day-to-day activities performed with Business One.